This Artist Model is very similar to what would have been used way back then. 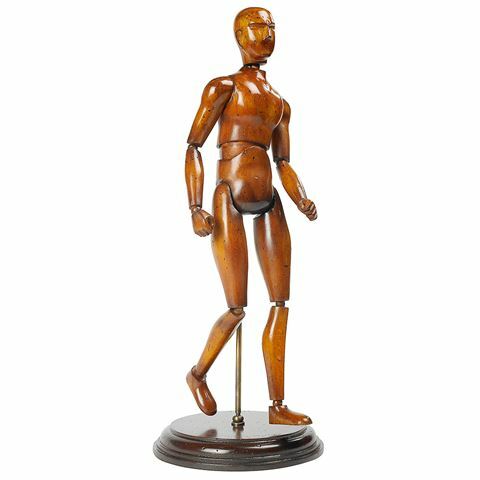 With its wooden ball-jointed neck, arms, torso, and legs that could be positioned in various ways, it would have been used as a reference point when a live model or suitable sitter was not available. Perfect for modern artists as well, this Artist Model is an ode to the artisans of the past. Made from lacquered maple wood with an aged appearance. Dozens of ball-jointed points that can be positioned as a reference point for artists.